I was craving a snack that is (1) itty bitty in size (2) sweet (3) healthy (4) easy to make (if you make it correctly). My raw apple balls actually became raw apple mousse. 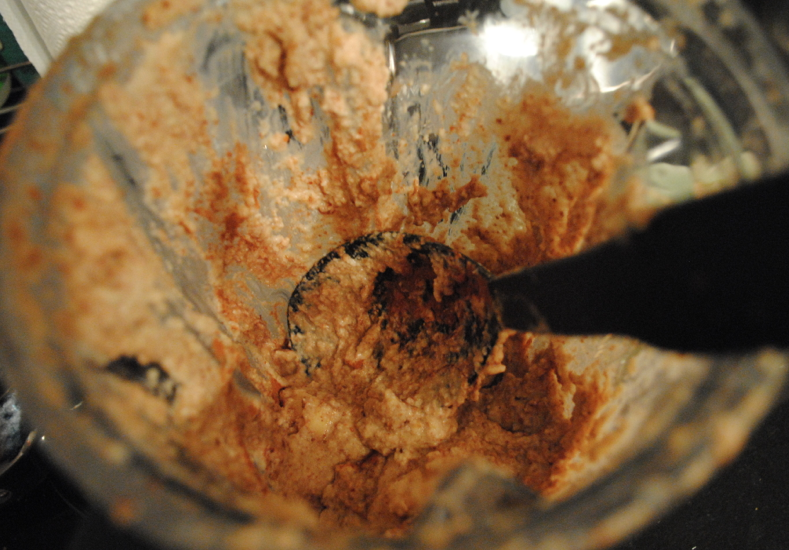 The mousse *is* delicious…but it’s not the raw apple balls the recipe promised to be. The dough was just too sticky which made it impossible to form balls. I SWEAR IT IS DELICIOUS no matter what the form is, but they are not an easy snacks to eat. I want little balls of goodness! Apples, walnuts, dates, almonds, and cinnamon are always on hand in our kitchen. Thank goodness I didn't go to the store just to get these ingredients and then fail! 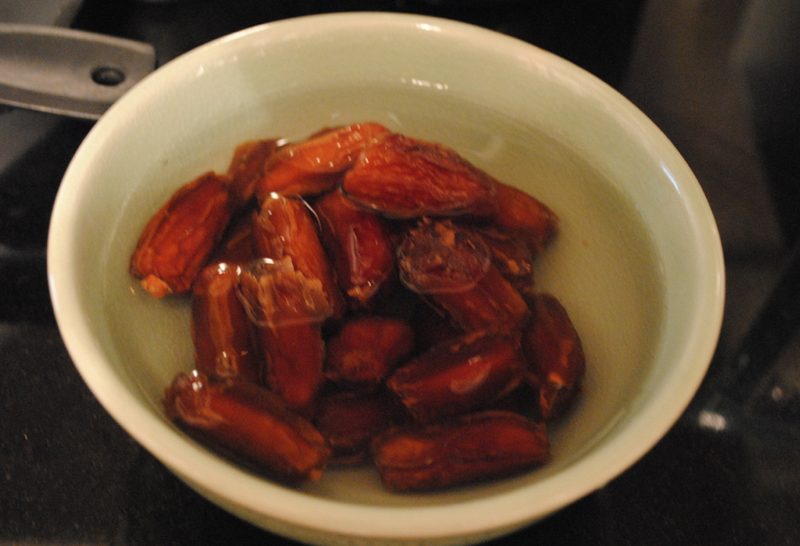 * Soak 1 cup dates for 30 minutes to soften. Leave the remaining dates unsoaked. Also, make sure that the pits are removed from the dates. Soaking the dates makes it easier to blend. 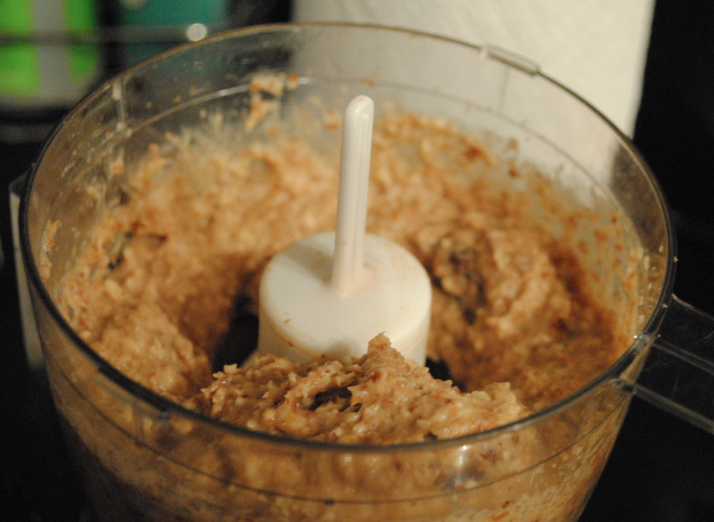 Ground nuts with soaked dates on top. 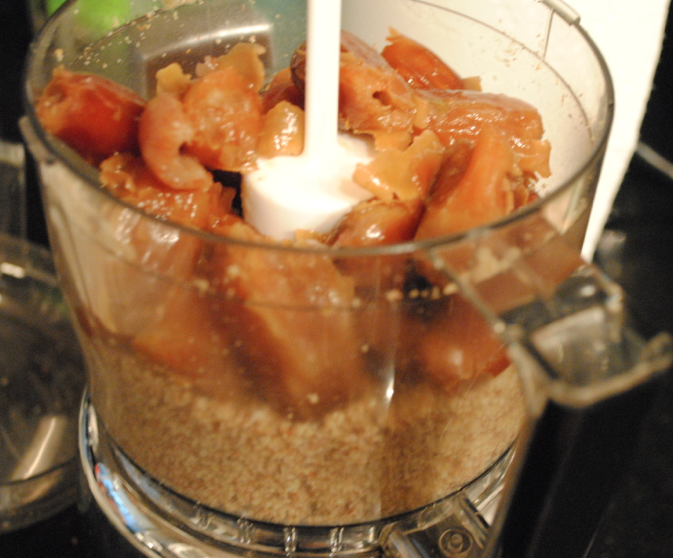 * Add the soaked and dry dates in the food processor. Blend until chunky. 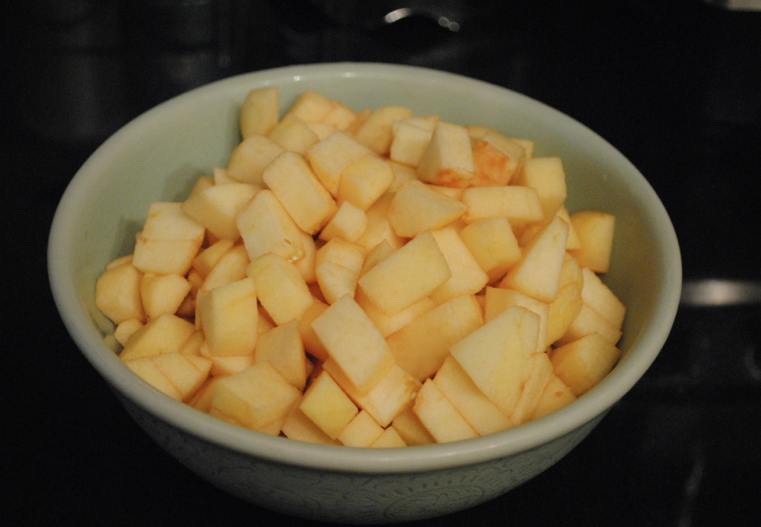 * Peel, core, and chop the apples. * Place the apples with the raisins and the cinnamon into the blender with the other “dough” and blend until you feel like it is a good consistency. 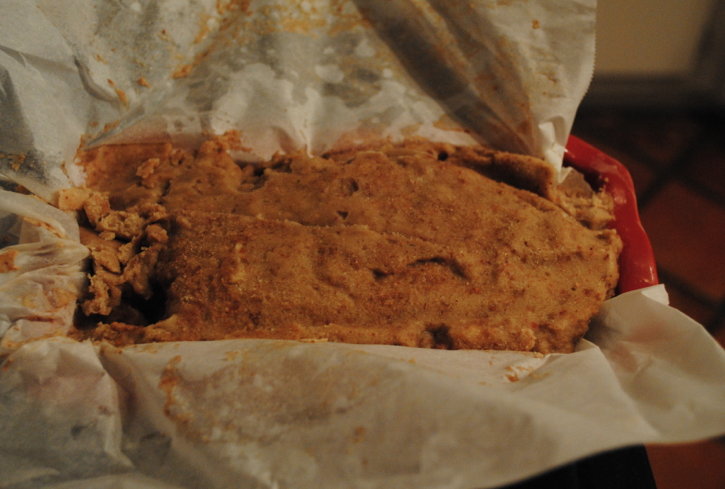 Lots of cinnamon to make it have more flavor. * With clean hands, roll the dough into small balls and put in the fridge. * If you are feeling extra special, you can dust the balls with coconut or cinnamon. Or leave as is. * Store in fridge and eat when hungry! There you have it! Another semi-delicious snack! Any tips or suggestions on my terrible failure? 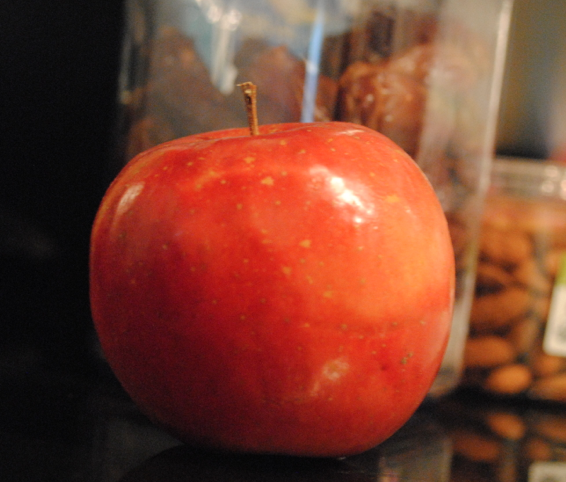 And if not, do you have a healthy snack that is easy to make (and doesn’t take a lot of time)? Also — do you have good snacks that DO NOT INVOLVE NUTS? 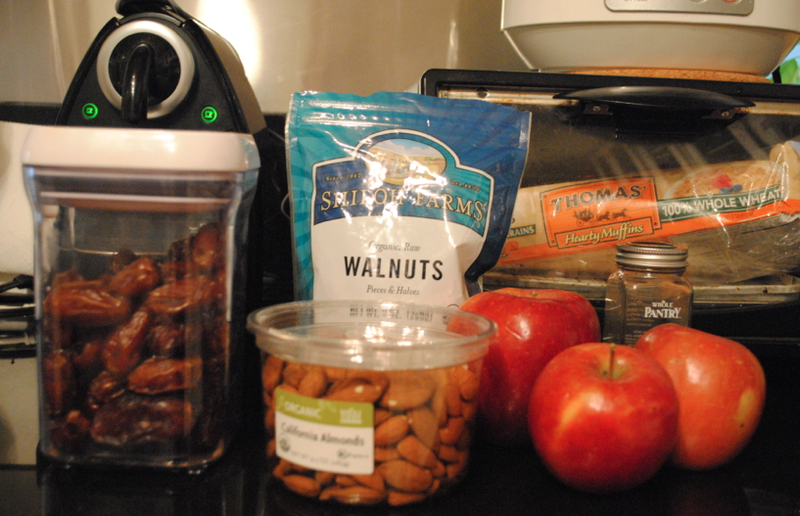 I know many people with nut allergies, and I would love more ideas on snacks that are nut-free! Please share! Happy Memorial Day weekend! I am off to Westchester with the two kiddos, the hubby, my mama, and my brother. I am one lucky girl this weekend! I would have just called this post “Apple mousse” and pretended like that was my plan the whole time! Still looks good. Enjoy the holiday weekend! The only thing I can think is to put the dough in the freezer for an hour or so before you try to make them into balls. Then use a melon baller to scoop them out. If you use your hands, you can spray your palms with non-stick spray so the dough doesn’t stick so much. A little bit of something dry might help too–wheat germ would taste yummy. Of COURSE YOU HAVE THE SOLUTION, Jules. Thank you!!! !